We’ve put in a lot of miles, and stayed a lot of state parks, RV parks, and Thousand Trails parks. But you know, they all have something in common, and that’s the primary thing we wanted to address in 2019. Staying at these places costs real money. As we all know, there are 365 days in a year. The average price per night for us was somewhere around $30. That’s nearly $11,000 in parking fees alone. If you live in an urban environment, it’s easy to chuckle at $900/mo for rent, right? Especially for a family of three. We’re going to explore the country this year, on our own terms. This means really living in places far away from the buzz of the city where the nearest neighbor may be a mile or more away. We’ve already paid for the Thousand Trails Southwest, Southeast, and the Trails Collection/Encore packages, totaling about $900. That means we get to check in every now and then for 4 nights with no time penalties. That $900 (one time) will pay for up to 104 nights of overnight parking with connections. I think that’s a pretty good deal. The rest of the time, we’ll be staying in BLM/National Forests and other free/very inexpensive options. Remember, we’re gamifying modern life. How well can we live with minimal expenses? They key word here is “boondocking.” Since we left Dallas in 2017, we’ve spent a total of a few weeks without paying for a space. This year, we plan to do the opposite. But never discount the recommendations of friends. We met up with a great group of people at the Xscaper’s Annual Bash 2019 that led us to a Fulltime Families meetup in Quartzsite. Our instructions for getting there? GPS coordinates to BLM (Bureau of Land Management) property. I’m in love with this lifestyle. To date in 2019, we’ve spent a total of $90 on parking fees. These were the final three days in Texas before we left for the year – and we felt that was safer than risking ice and snow in western Texas. That’s a great number compared to last year – about $630, just 21 days in to January. 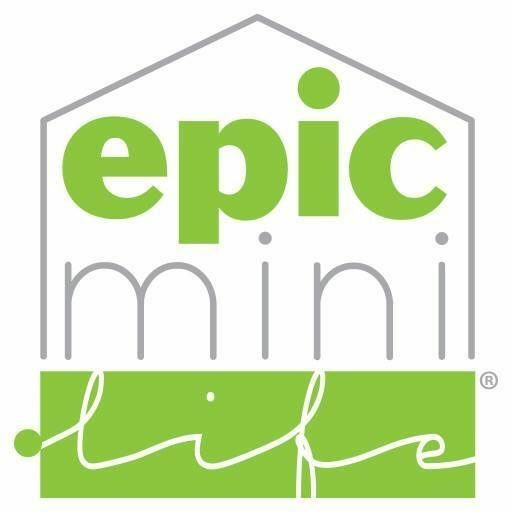 This is the second post in a series called “Epic Mini Life 2.0: Our outrageous plan to live off-grid in 2019, with every modern convenience.” Up next? Power. It’s a big deal when boondocking, and everyone has unique requirements. We’re about a year behind you. We’re just getting used to RVing full time and currently using long stays (for better rates) and overnights at Walmart, Truck stops, and Cabellas. Learning a great deal from you so next year our goal is close to what yours is this year.